There is no stopping Meggy at the moment. With “TIMES” and “WELCOME TO THE V”, the Berlin born DJ, producer and vocalist has already delivered two top notch EPs on Suol in 2018 and here she is back again already with a third. 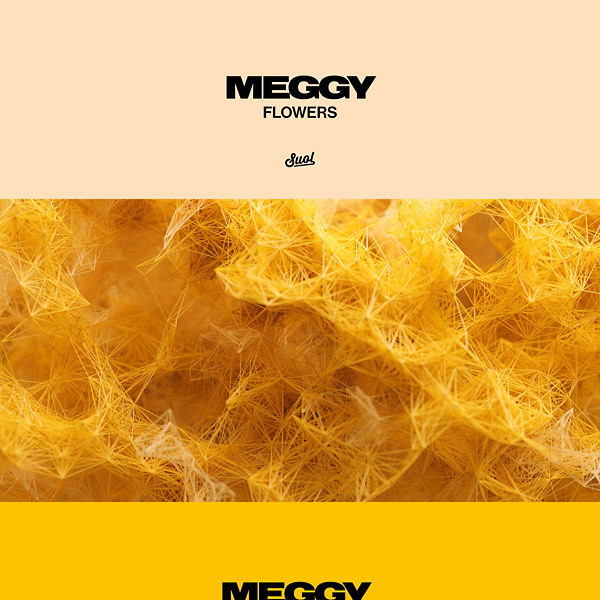 Sporting four tracks, the “FLOWERS EP” once again showcases not only Meggy’s production prowess but also the unmistakable vocal style and songwriting abilities which have earned her so many high level feature appearances throughout her career. The title track revolves around a hypnotically modulating analogue synth riff and drum patterns that point urgently towards the dance floor. Meggy speaks to us through chords that have an almost ravey feel to them. With its clever arrangement this track is clearly hands-in-the-air material. “VERY MOMENTS” starts with only an electrically charged synth and organ combo and a classic Meggy vocal. The groove then starts building bit by bit, patiently leaving space for a beautifully emotional piece of songwriting before elegantly placed pianos come in and the hi-hats pick up the pace. A bouncing interaction of drum machine and syncopated, squelching bass line draws us in straight away in “SUMMER NITES”. On a track that would surely be a dance floor winner even if it were left instrumental, the vocal with the little R&B touch that Meggy does so well is the icing on the cake. The EP ends with “CLOSER”, the deepest and most emotional of the four tracks. Whether it is the somewhat melancholic vocal or the positive feelings of the instrumental parts you catch on to, the groove will make you want to dance either way. Selling is the joint project of Gold Panda & Jas Shaw of Simian Mobile Disco who will release their new album on Dec 14th.